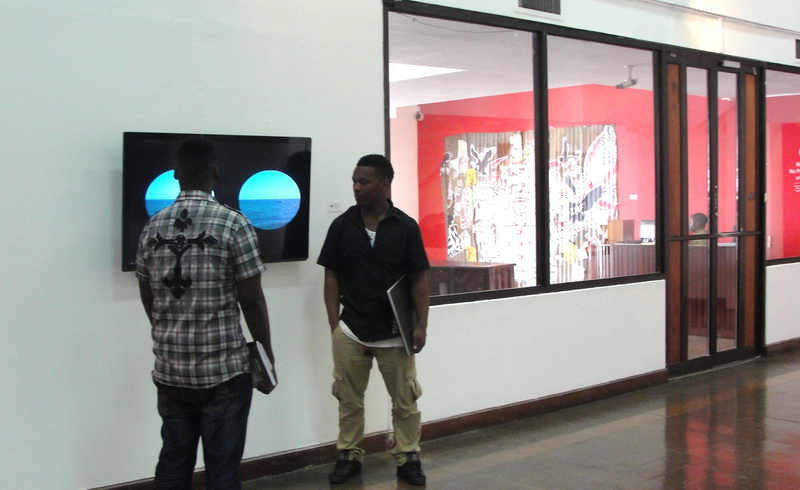 Students looking at Porthole at The National Gallery of Jamaica. Porthole, a video work I created in 2008 while on residency at Post-Museum in Singapore has made various rounds in the Caribbean and outside. It seems to be one of few works that an artist is lucky enough to create which seem to have struck a cultural chord. I suppose in the scope of all the discussions on animation happening locally it somehow still does as it features an animated dancehall diva and sound bytes from a local dancehall sessions. 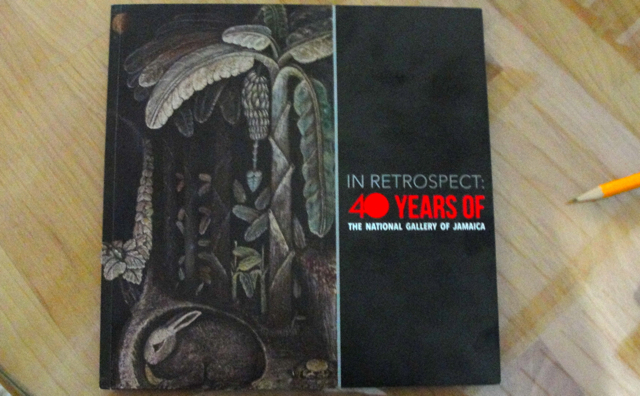 The National Gallery of Jamaica has mounted a very directed and streamlined exhibition which talks about its own role in creating various art narratives and histories. The catalogue is one which will in time prove very useful for students and aficionados of art everywhere. I took my students from the Art in Context course at Edna Manley College to see it today as a way of discussing new ways of dealing with portraiture and still life and recommend they purchase it as a text.